Divisive is the name of the game when it comes to DC Comics’ films. Man of Steel, Batman v. Superman and Suicide Squad all received mixed reviews. Wonder Woman was a bonafide hit with everyone, but now it’s back to the status quo with the latest film in the series, Justice League. Digital mustache removal, crappy CGI, inept story, and a botched Superman resurrection all led to a massive critical lambasting of the film. Bad reviews don’t scare me out of seeing a movie because I need to see it for myself before casting judgment. 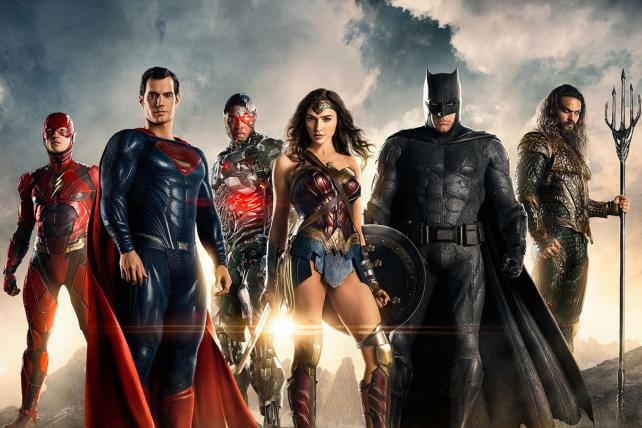 Is Justice League another step down for the DCEU? Is Justice League worth your time and hard-earned money? I’m here to report that despite any minor problems, Justice League is freaking amazing and these issues do not distract from an extremely fun movie. In the wake of Superman’s death, Batman and Wonder Woman recruit other super-powered individuals to combat the giant fire ax-wielding Steppenwolf and his legion of Parademons. Aquaman, Flash, and Cyborg join the fight, but they might not be enough to save the world. The narrative is as simple as it gets. There is nothing too creative here, but its fun, however, it barely rewards viewers for their time invested in the previous like Marvel’s The Avengers had done. Watching the team interact with each other is the strength of the film. The Flash (Ezra Miller) was a rookie crime fighter who never did battle on an “end of the world” scale. Miller played the character as someone who wants to get out more because he has no friends. He’s awkward and a tad annoying as the comic relief, but still quite enjoyable. Batman (Ben Affleck) was great as usual and Wonder Woman (Gal Gadot) was sensational. If there is any truth to the rumors that the film’s reshoots increased her screen time, it was a very good decision. The team leader thing was broached and while Wonder Woman assumed command in the heat of the moment, they never firmly pronounced that she is the leader of the group, which would have been a nice touch. Superman’s resurrection was botched to a degree. The Death and Return of Superman story arc in the comics has a wealth of material that could have been referenced. None of it is used. Not even the infamous black suit. The studio deserves a pass, however, because many of the elements in the comic book series haven’t been introduced into the DCEU. Fear not though. Superman steals the show once he is back among the living. His confrontation with the League is worth the price of admission alone. Henry Cavil was finally allowed to give us the man of steel we’ve been waiting for. He was friendly, donned a lighter blue costume, cracked a couple of jokes and actually cared about saving people. Steppenwolf was the rudimentary antagonist of the film. There was nothing awful about his portrayal; however, he was a poor choice for the big bad in the first gathering of the Justice League. He’s not a major player in the lexicon of DC’s illustrious gallery of villains. In addition, Steppenwolf never appeared in the previous films, ensuring a lack of appreciation from general audiences. (B v S Ultimate Edition doesn’t count). Zack Snyder directed the film until he had to step away due to a horrible family tragedy. Avengers’ helmer Joss Whedon finished the film and oversaw all the reshoots. It was easy to tell the difference between Snyder’s darker depictions and Whedon lighter scenes. While the difference in directorial tone was not by design, it complements the movie rather well. Things are dark before and during Steppenwolf’s invasion, which has been the norm of the DCEU. Once the Justice League finally unites, things become brighter because the world finally has what it needs. All film is subjective, and it’s easy to understand why a lot of people panned this movie. Despite its problems, Justice League is just plain fun. It delivers on so many great moments that made the movie an entertaining adventure for most of its condensed two-hour run time. Make sure to stay for what I feel are the two best post-credit scenes in any comic book movie. I hope the underperforming opening weekend at the box office doesn’t deter Warner Bros from continuing with the DCEU. Batman v Superman corroded consumer confidence, and rightfully so, but Justice League is not only a step in the right direction, it proves that these movies can and will hopefully meet our nerdy expectations going forward.